Toni Thomas Durden will team up with several leading experts from various industries to release the new book, “The Road to Success Volume 2: Today's Leading Entrepreneurs and Professionals Reveal Their Step-By-Step Systems To Help You Achieve The Health, Wealth and Lifestyle You Deserve” by CelebrityPress®. Martinsville, VA – June 25, 2016 – Toni Thomas Durden, founder of Teen Life 101, has joined Jack Canfield, along with a select group of experts and professionals, to co-write the forthcoming book titled, The Road to Success Volume 2: Today's Leading Entrepreneurs and Professionals Reveal Their Step-By-Step Systems To Help You Achieve The Health, Wealth and Lifestyle You Deserve. Nick Nanton, Esq., along with business partner, JW Dicks, Esq., the leading agents to Celebrity Experts® worldwide, recently signed a publishing deal with Thomas Durden to contribute his expertise to the book, which will be released under their CelebrityPress® imprint. 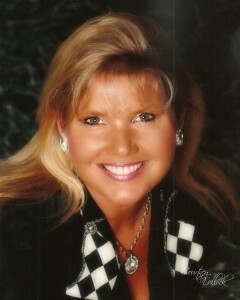 Toni Thomas Durden is the best-selling author of Life in the Jetstream. She has been a world traveler, adventurer for more than twenty-seven years. She is a successful entrepreneur, real estate investor, Certified Dream Coach, speaker and philanthropist. Early before starting her career, Toni was from a small town with limited resources. She had won a national pageant that opened many doors and broadened her horizons. She met many celebrities, appeared on the Regis and Kathie Lee Show, and went to see Oprah, Phil Donahue, and Geraldo. She later received a letter from Oprah to saying “Do what you love and success will follow.” She also appeared on the Silver Screen with Earnest Borgnine, Norm Crosby, Norm Fell, Pat Priest Hansing and Allen Garfield. Toni is the founder on Teen Life 101, a 501©3 not for profit organization dedicated to helping teens to learn life skills to transition to the real world through media and events. She has been involved with charity work her entire life. She was a former little sister of Big Brother Big Sister of South Sarasota County. She felt blessed later in life and wanted to help others. Her contribution expands from working with many other non-profits like Adam Walsh Children’s Fund, Big Brothers Big Sisters, Make A Wish, and the I Have a Dream Foundation. It extended out to orphanages in Peru and Africa, building homes for the extreme poor, children’s homes and hospitals, jail ministries, nursing homes, at-risk and working with terminally ill patients. Toni’s hobbies include traveling around the world, reading anything that she can learn from, riding roller coasters, kayaking, biking, entertaining, spending time with like- minded individuals, and spending time studying the Word. She and her husband, Rob, have been married for twenty-two years and have two sons, Austin and Kieran. Toni lives in southern Virginia.